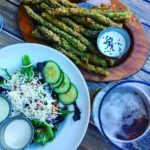 Did you know there is a strong Basque heritage in Idaho? 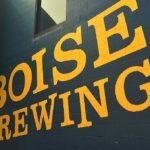 Idaho is home to the largest Basque diaspora in the country, with a population of about 15,000. 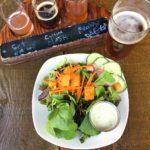 It’s a tight community, rich with history and full of present-day participation in tradition. 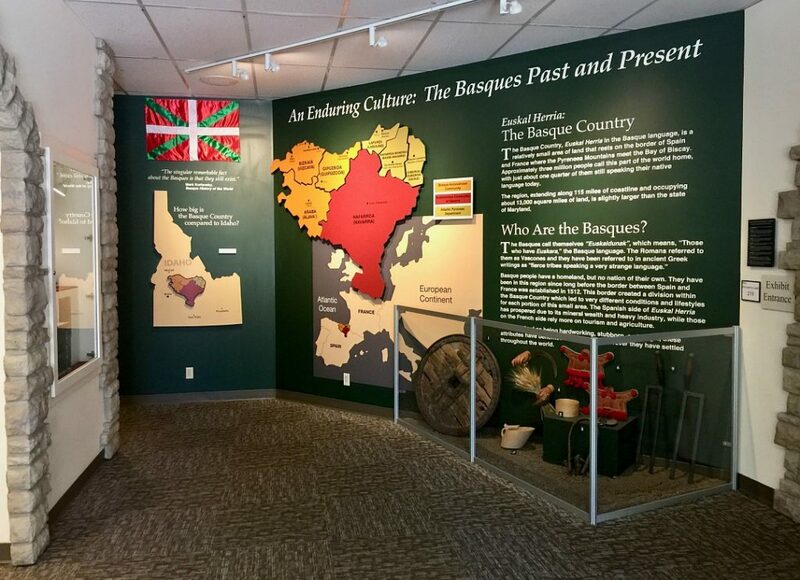 The Basque Museum & Cultural Center in Boise provides a wonderful education about the fascinating history of how Boise developed a Basque community. 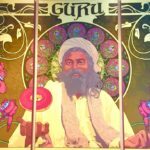 It all started with sheep herding. Basques were such hard, productive workers that people started asking if more Basques could come help out. So they did. 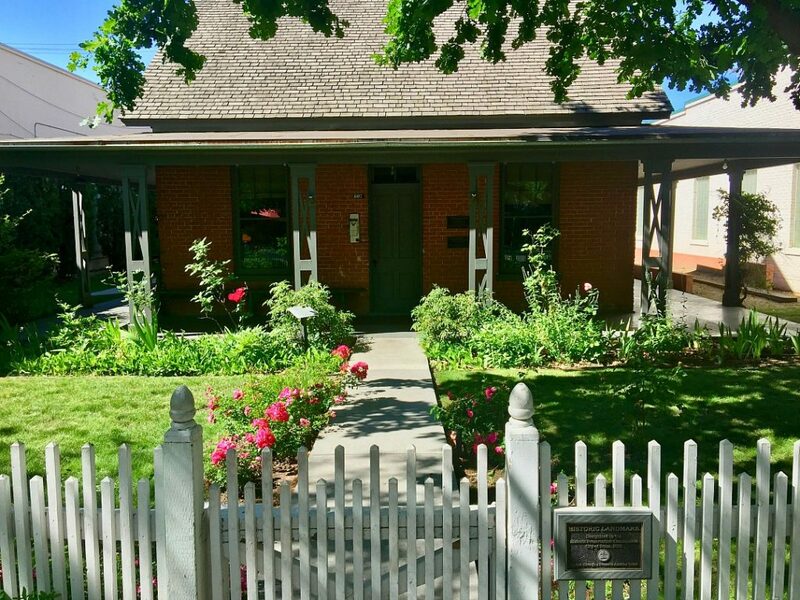 Located on the Basque Block downtown, the museum and cultural center is well worth a visit. It’s short and sweet but covers a lot of ground, and it’s visually interesting and interactive. 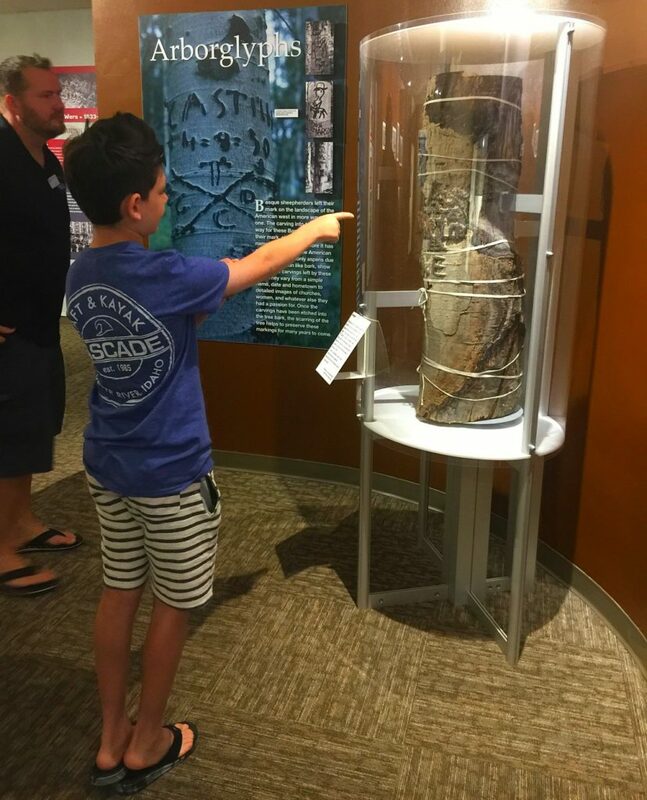 I’m a history geek, but my son enjoyed it just as much as I did. It’s super kid friendly. They did a great job with the displays. 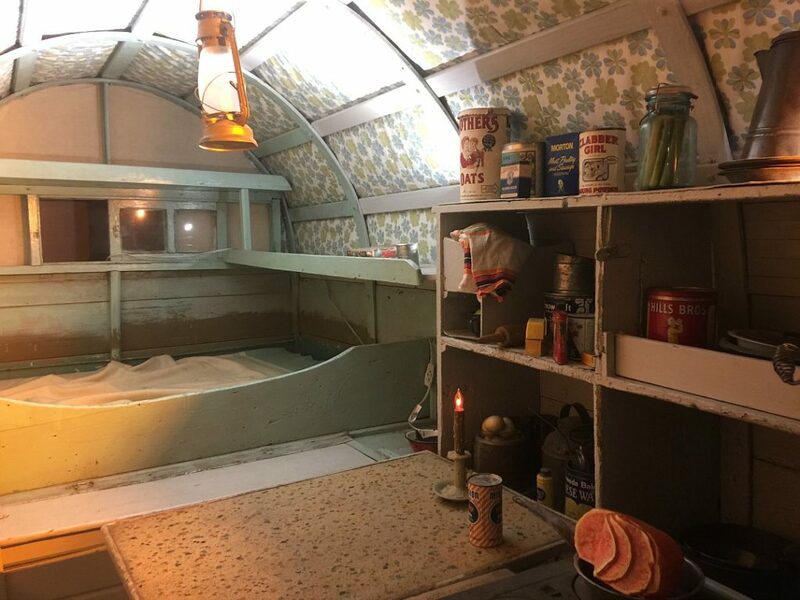 Our favorite was probably the life size camper replica with all the gear and supplies set up inside that they would have used a the time. It was super cool to get a glimpse inside the sheep herder lifestyle. 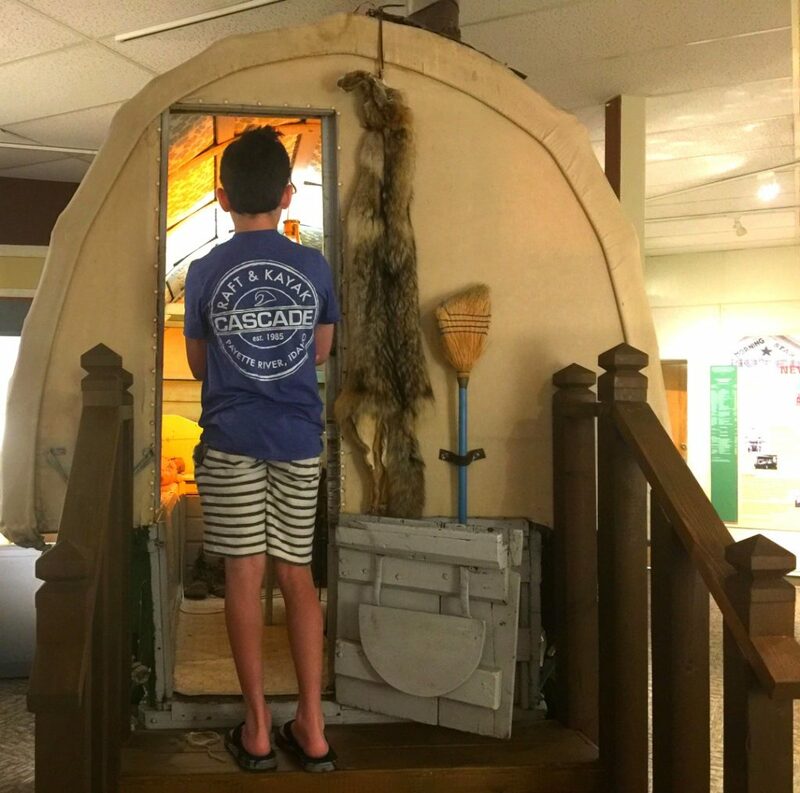 We love to go camping, so it looked rather fun to us, though we could also imagine the hardships of life without all our modern conveniences. I love that my son got to see this in person rather than read about it in a book, I think it made quite an impression. They have an exhibit of the bombing of the Basque town Guernica in 1937, along with a huge photo of the Picasso painting of the same name. I’ve seen the real thing in person in Madrid years ago. Every time I see that painting I think of how brazen Picasso was. Reportedly, when a Nazi asked Picasso who was responsible for the painting, he famously said, “You are.” I always liked that story and wondered if it was really true. The bombing was especially egregious because it was a military attack on civilians, and I appreciated that Picasso used his influence to object to this atrocity. Right outside the museum is the Cyrus Jacobs-Urberuaga House, which was the first boarding house for Basque migrants. 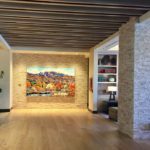 They have it tricked out with all the appropriate furniture and accoutrements so that you can really visualize what life was like there. 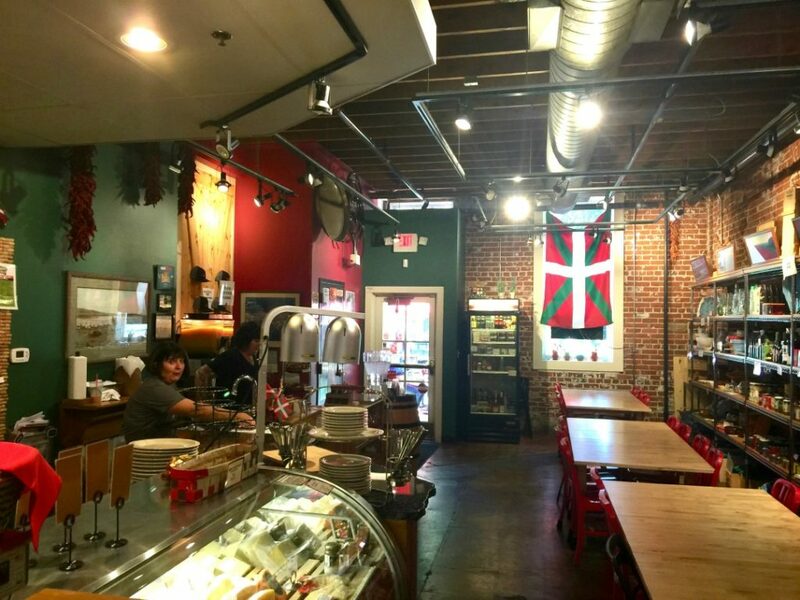 They have all the specialty ingredients you need to make traditional Basque foods as well as a deli and baked goods. You can pick up gigantic paella pans and other non-food items as well. People coming in knew the ladies behind the counter by name–everyone knows everyone in this community and it’s a heartwarming thing to see. My grandmother’s Italian neighborhood was like this and it just gives you a sense of belonging to be part of something like that. I love to see people keeping up with their heritage and traditions. 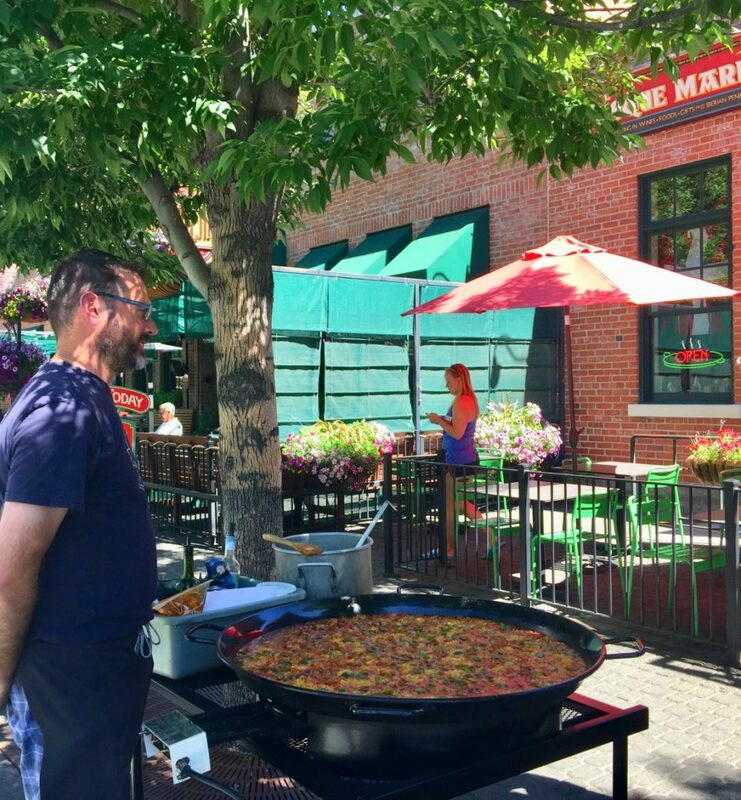 Every Wednesday and Friday at noon, you can get freshly made Paella on the Basque Block. The Market prepares it on the patio and serves it with freshly baked bread. It’s a beautiful presentation in that giant paella pan, and smells delicious. 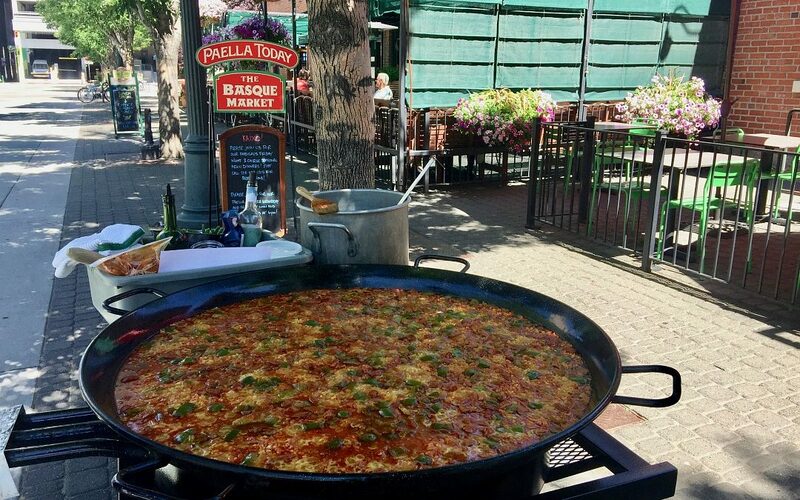 For vegetarians, they offer a veg-paella once a month, which is wonderful for those of us who would love to enjoy yummy paella without the meat. 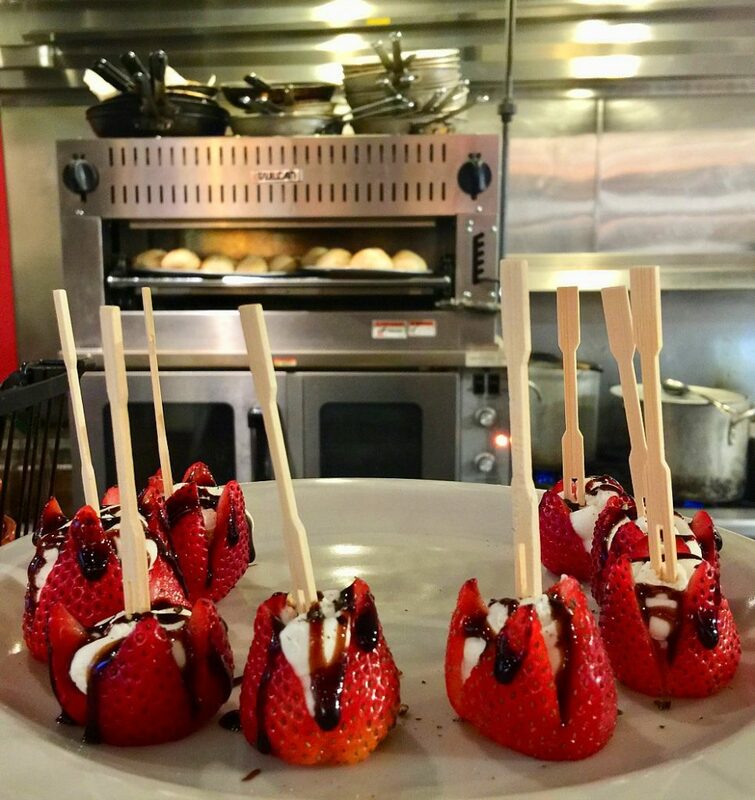 They have sangria to sip with your paella, and Basque desserts. 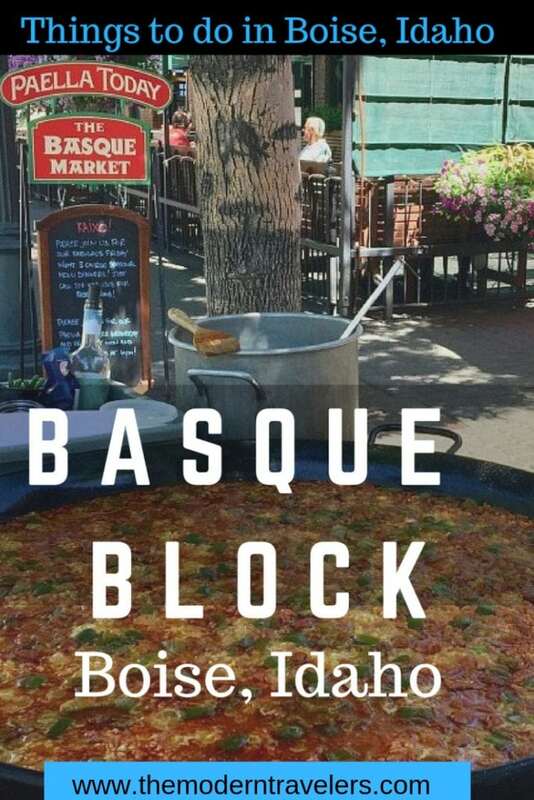 When you visit Boise, you have to check out the Basque Block, and if you’re downtown, it’s kind of hard to miss it. There are restaurants with authentic Basque food (we didn’t have time to try them, but would love to next time). 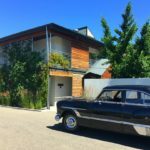 It’s convenient and beautiful with bright flowers billowing out of flower boxes–it’s a lovely street to enjoy. 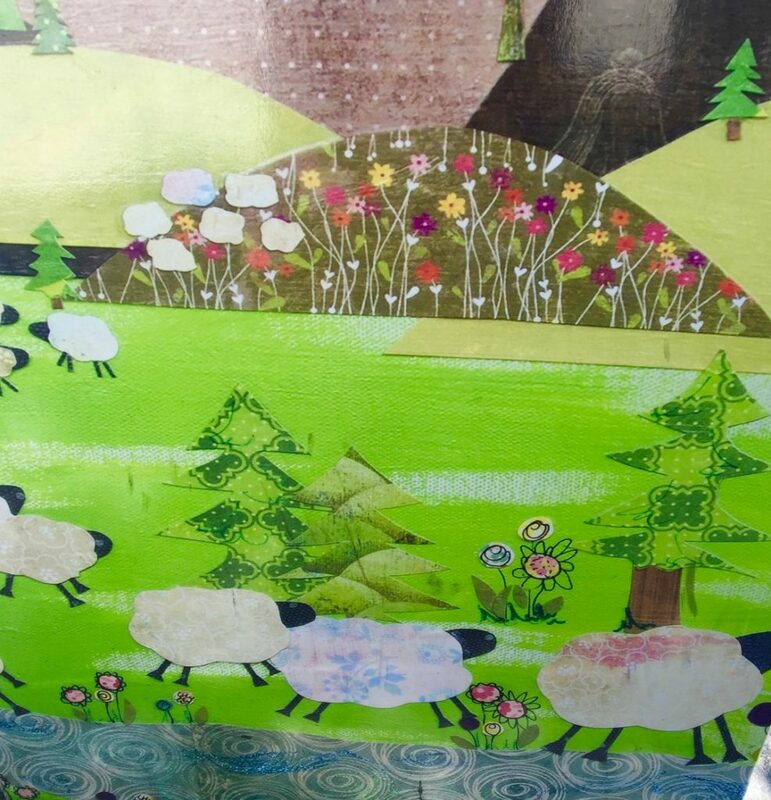 Look at the electrical box with the sheep–too cute. One of the many things I love about this city is the street art. The electrical boxes are painted, often in keeping with the area. When we started our day, we didn’t realize what the sheep meant, so it was fun local knowledge to see them again after our museum visit and understand what they were all about.